Motorisation means enjoying a more comfortable and convenient lifestyle at home. With a Powered Blind solution, you can control your room’s natural light level with just the touch of a button. Our easy to install designs have a number of different power options, including battery, mains plug in and even solar. 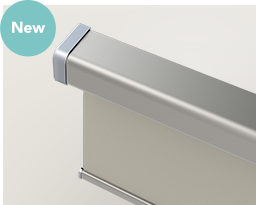 Our Simplicity all-in-one blinds are configured with an Alkaline Battery Pack, meaning they are easy to reload and mount If you would prefer automated blinds with alternative power options such as rechargeable batters, solar or mains, please browse our roller blind range. 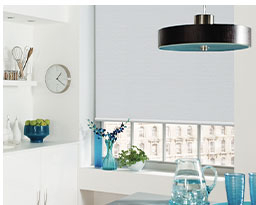 Our roller blinds offer a smooth operation and a wide choice of power options to suit your needs. Whether you want a permanent source of power or a more environmentally friendly choice, your automated roller blind can be configured to your exact specification. 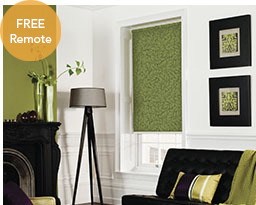 Our roman blinds offer a smooth operation and a wide choice of power options to suit your needs. Whether you want a permanent source of power or a more environmentally friendly choice, your automated roller blind can be configured to your exact specification. 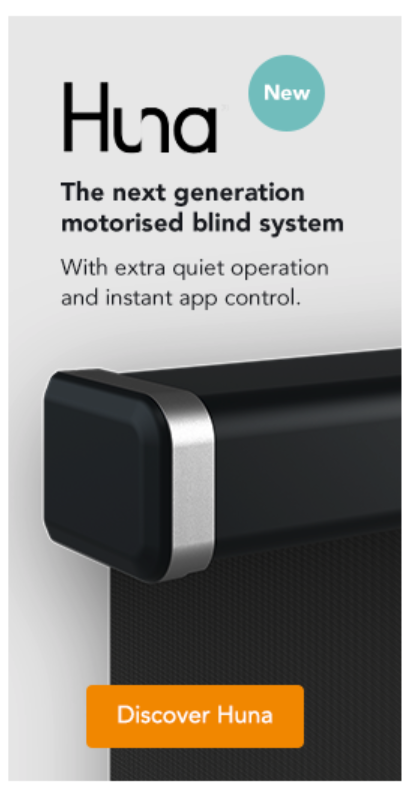 Our innovative Vision blinds can be powered by the rechargeable battery pack or mains plug in pack. We have selected these power options due to the dual fabric layer design of the vision blind, which results in twice the amount of fabric rolled up or down during a typical Up/Down cycle. As the motor is active for twice the time compared to a standard roller blind, we feel that the permanent power option of the mains plug in pack or rechargeable battery pack are the best available. Our bespoke bi-folding door blinds can be powered by any of our available power options. Please note though, due to the larger standard measurements of bi-folding door blinds, batteries will have a shorter lifespan compared to standard sized roller blinds. Battery packs are available in both disposable and rechargeable varieties. They comprise of a reloadable tube containing the AA batteries, which can be easily mounted out of view behind the motor or vertically on the side of your window recess. This plugs into your motor to power the blind. Comprises of a Somfy reloadable battery tube and 8 x AA Energiser Lithium batteries. Dimensions: 430mm length x 20mm diameter. Comprises of a Somfy reloadable battery tube and 10 x NiMH Rechargeable batteries. Solar panels are an easy and environmentally friendly way to power your automated blinds. The compact solar panel fits behind your blind on the inner windowpane. When they detect natural light, they will then continuously recharge the 12V battery pack, providing a green solution to your electric blinds. For a permanent power source, you can choose our mains plug in pack. The simple pack plugs into any standard socket outlet, providing a dedicated power feed. Our mains plug in power pack does require a socket to be located within 3M of your motorised blind. Please note, this option is only suitable for powering a single motorised blind. The mains plug-in power pack supplies a consistent feed of power from a standard socket outlet to your automated blind. Output voltage – 12 V.
All our electric blind products are powered by a Somfy motor. Somfy are a trusted expert in the automated home solution industry and are at the forefront of design and innovation.